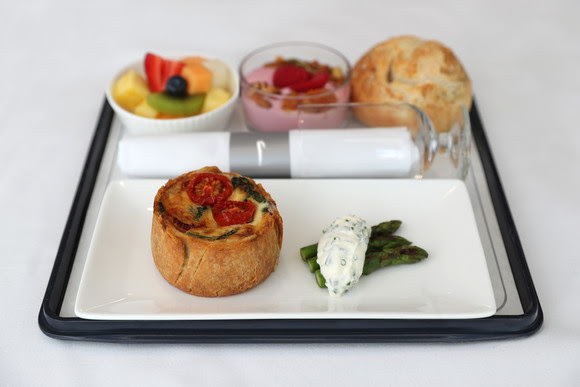 The UK's flag-carrying carrier, British Airways is going to be introducing new menus for business class cabin, from 12th September. The new menus with improved recipes and signature warm breads, with dishes developed around key British ingredients. Launch options will include shaved Herefordshire roast beef on a tartar cream with rocket, British reared pork sausage and mash and a celebration of British cheeses. In economy, the airline will continue to sell overpriced food introducing a new Autumn M&S On Board menu launch, including a chicken and bacon sandwich. A new vegetarian café sandwich selection called ‘Life On The Veg’ will be making its debut. The airline has been struggling in recent years, no longer recognised as one of the world's top five airlines.